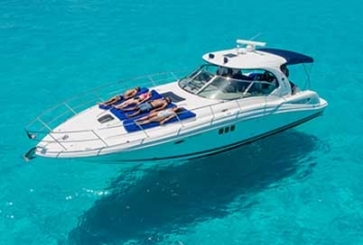 Get a private getaway and enjoy unlimited activities with your Cancun yacht rental! 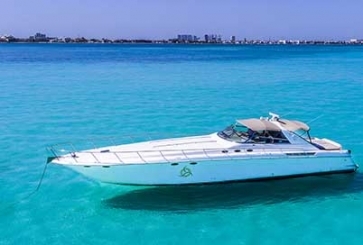 The best prices and variety for Cancun yacht rentals. Spend quality time with your favourite people, and create a special bond with your love ones. Control every aspect of your Cancun yacht trip, all comes down to your desires. Get a private getaway to Isla Mujeres, Contoy or Holbox Island. Find the perfect match for your needs, book now and enjoy the ride! Cancun sailboat charter and Cancun sailing. 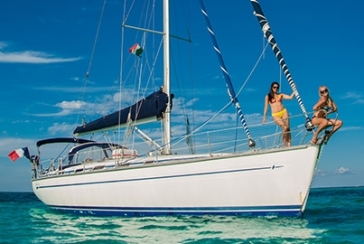 Find our list of private sailboat for day charter in Cancun. During our private sailing tours in Cancun you can decide your own itinerary to enjoy from an Isla Mujeres boat trip, to a Cancun sunset sail or sunset cruise, to a private snorkeling and even sailing lessons. 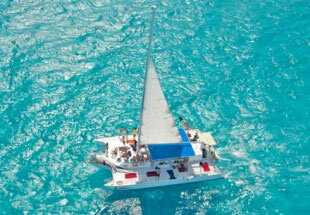 All Cancun sailboat rentals available per hour or full day. Charter a catamaran in Cancun for any occasion. Get to know our wide variety of catamarans for rent in Cancun and enjoy an unforgettable experience. All of our Cancun Catamaran rentals are provided with national open bar, music (MP3, iPod, USB), speakers, snorkeling equipment and crew. Hourly or full day catamaran rental in Cancun.